Has $840 Million Bought the Norwegian Church’s Silence? Since the start of the Bodnariu drama we have been asking ourselves why the Norwegian churches are not stepping up to the defend the victims of Barnevernet abuse? Why are Norwegian churches taking the side of the abuser? Why are Pentecostal leaders in Norway bragging about religious freedom when the Bodnariu family has been sanctioned at school over Christian songs and theological issues? After all, that was the spark that initiated Barnevernet probing the family to arrive at the accusation of spanking and confiscating their five children. We may have the explosive answer in an article published today in Nettavisen. The State has 7 billion crowns ($840 million) earmarked in a special fund for churches in Norway. The churches in Norway are subsidized by the government, and as professor Marianne H. Skanland pointed out, Barnevernet is an extension of the government. To criticize Barnevernet is to criticize the government. To criticize the government is to bite the hand that feeds the Church, and the Church will not do that. Therefore the Church will remain silent in the face of injustice. The apostate Church looks the other way when a 3-month-old baby is snatched from his mother’s breast. Instead of upholding the rights of oppressed and the destitute families, it works hand-in-hand with the politicians who created the abusive system. The Pentecostal leader in Norway Sigmund Kristoffersen said here “we will not express an opinion on, or take a position on the matter in question” regarding the Bodnariu family. Why? Because 7 billion crowns can buy silence. Since the Church inside Norway chose to remain silent, the body of Christ, the authentic Church of believers from across the globe is uniting to protest the injustice done to the Bodnariu family. Tens of thousands will flood the streets of European, Australian and American capitals on April 16th, 2016 to call for an end to Barnevernet secretive action and the immediate return of unfairly confiscated children. The Church of Norway needs revival. It needs repentance. It needs to defend the oppressed, the destitute and the Barnevernet victims. I’m not intending to be a broken record here but when over half of the members of the state church say they are not Christian, it is possible that they can be bought with thirty pieces of silver. Thankyou Marianne H. Skanland, for importan ifo, true and good words – Once again Thankyou! The Norwegian state wouldn´t stop giving money to a Church if the Church critized its policies (BtW Barnevern is community- based service, not a state one).The right to the government support for all Churches is written in a law and it is highly unlikely that Norwegian MP´s would change it.It´s very long tradition. They are socialistic and I am not suggesting they change government financing of the Church. I am merely pointing out a plausible explanation why the Church does not criticize BV. No, the CPS does not emanate from the community, it is a state organisation, managed by a part of the Ministry for Children and Equality. Every municipality is obliged to have a CPS unit and the politicians have given these local units a free hand in practice, but that is not to say that they can strike out a line of their own or agree with the population in their municipality to do things in a special way not supervised by the central state authorities. I do understand and we have the same system in Czechia. In the boht countries the goverment can´t interfere in CPS work and concrete cases. The government doesn´t follow an investigation in a town X or a town Y and is not responsible for local CPS decisions. County governor may gain an insight into a case and you can sue the officers if you like. But it is not driven from the central level, it was my point.And it doesn´t differ from our system. Veronika, only 2% of Norway populace attend church services on regular basis. Do you think that the state won’t use this excuse to stop funding the Church if the Church starts criticizing its policies? Especially now, when the oil price has hit hard in the Norwegian State revenues? 7 billion crowns ($840 million) is a hefty sum that could be spend somewhere else. No, there´s almost no probability that Members of Parliament would vote for scraping subsidies for the Church.The religion plays more more important role in Norwegian society than in i.e. Czech one. All pupils have to attend religion (mostly Christian) classes (subject known as KRLE- https://no.wikipedia.org/wiki/Kristendom,_religion,_livssyn_og_etikk). The Norwegian constitution even appreciate “christian roots and traditions” of the society (unthinkable in Czechia). Even if the church in Norway stays the same (no criticism of CPS), they are still not off of the chopping block if funds become unavailable due to the oil situation or a boycott of its products due to the unwillingness of the Norwegian government to pressure the B.V. The considerations done in try of day to take something to the propagada machine of this movement is out of context used as ammunition. We – in Norway – have a political goverened and financied church – Den norske kirke – The Norwegian Church. This church has for decades been used as a tool for the spirit of time. In this chuch you find atheist priests and new age priests – in our days you find both priests and members of this church that have mixed believes. The first thing I did as a born again was to get out of this church. This is not a clean and holy church – it’s a spotted tool for the spirit of time. Now it is seperated in one part – The Peoples Church – which is more like a club for people with religious feelings of some kind and the other part is for the more conservative ones that have some kind of remaining Christian faith and think that a church should be a house of and to God. If the state stop funding this Church it’s because the spirit of time has fulfilled it’s task. It’s no longer needed as any political tool. The billions funded to this church is much because of an old property system. A hundred years ago and more priests, teachers and police had more power and respect in the society than today. When you travell through Norway you see all these churches for the most part built and financed by the state and each have their parish priest that was given a nearby financed residence. The maintenance of these (dead) buildings cost a lot and is now used by some as the main argument to end this state funding. We have in Norway a Human Ethical Society that has no hurry to bring down this Church – mainly because it’s not a House of God and some of their atheist priests do their work in its clothes. They know that it’s outside this church you find the true believers – they who have a relationship with the Lord and acts upon the Word according to the Mission given to us all. Some in Norway may think they are a Christian because they were baptised in a church when they were around 3 months old. Then they never attend a chuch before they at the age of 14 shall choose between a Christian or a civil confirmation – make the confession in the baptism as a baby their own. Most teenagers do this to get gifts and money – not for the Christian teaching and renewal of confession. The next time they go to chuch may be at their wedding or funeral. If we in Norway take away the state funding of this church my guess is that you will see the truth about Christianity in Norway – we are really few that really believe. In the latter decades the pentacostals and other branches of the Christian faith have been more attached to the money given to them out of thinking of Norwegian equality – you cannot give just to the state chuch; we must do it likewise – so now muslims and everyone that can confirm that they are some kind of assembly of a belief get around kr. 700,- pr. member. – around 100 dollars – that’s all – the housing and all the other stuff it’s their own expences. No one is afraid of loosing this equality funding with regards to f.i. criticising the CPS. The only way to loose this funding is if the state stop funding the spirit of time church or if any mosque is proved to be a work tool for terrorism. The thinking of Mrs. Skånland is not the thinking of the common Norway, Norwegians, the media or the people gathered in some kind of churches. She is one of a hundred chronic CPS haters who is a nobody in the Norwegian society – so is Marius Reikerås and everyone involved in this movement. By mocking the Norwegian society in the way Mrs. Skånland do she is on thin ice and she can be glad that her voice isn’t heard by people that take it more seriously what accusations come out of her mouth about a country that is loved and honered. The Bodnariu family could have gained massive support in the Norwegian people months ago if they had spoken with the Norwegian press and dared to give them an insight in the documents so the media was sure they were the microphone for the right people – and not just another oneyed story. Without knowing the people and the facts behind no one in Norway will lift an eye to you or others marching and waving somehting up in the air some places on the earth. By cooperating with these chronic CPS haters like Mrs. Skånland you have made your support for the Bodnariu just to useless and ignored ammunition. They have misguided you and given you false and untrue information about Norway, Norwegians and a functionate service tool in the CPS. You are out of direction – out of context – out of influence and out of position to help families like the Bodnariu’s and the Aria parents. We are beginning to see this problem in America, too. But no church in America that I’m aware of receives continual funding from the government. Another interesting info from the propagandist is that Bodnariu fam would’ve be better of if they would cooperate with “securitatea” i mean norvegian media,do you know any case that was sorted out that way mr Knut?We don’t. I am not out of influence and out of direction. I have numbers to prove that my influence in Norway is not insignificant. I am raising awareness about what Barnevernet is doing based on facts from a godly family. In my research the issue of Barnevernet abuse and child confiscation based on trivial reasons have become undeniable. This movement has become greater than Bodnariu. It is unstoppable. Also: you keep personally attacking professor Skanland whose conduct has been exemplary. Learn to deal with her arguments without ad hominem attacks. It paints you in a desperate light. Is Barnevernet desperate these days because of the backlash against them? Backlash?? Dream on- brother. When you don’t build your house on the truth .. then what ?? Mr. Prunean?? Its not a Christian duty to intervene in another country’s internal politics or solution for a service given to its inhabitants. And as I have said a couple of times – you find the same system in your own backyard. You can hang on to a dream togheter with the chronics like Mrs. Skånland as long as you like for me – but no one in Norway or in the CPS trembles because of you or this internet movement – you bring and the movement bring up a lot of unnecessary fear, but we can live with that – I hope the ones you stear up can cope with your version – you should have a brain to understand the consequences of what you are doing, but now you are a christian activist – so – maybe – those were the days of future past. I stand on the truth! Norway judge just ruled that BV acted wrongly in removing Ezekiel Bodnariu. The baby must return home! This is such good news and an answer to many people’s prayers. 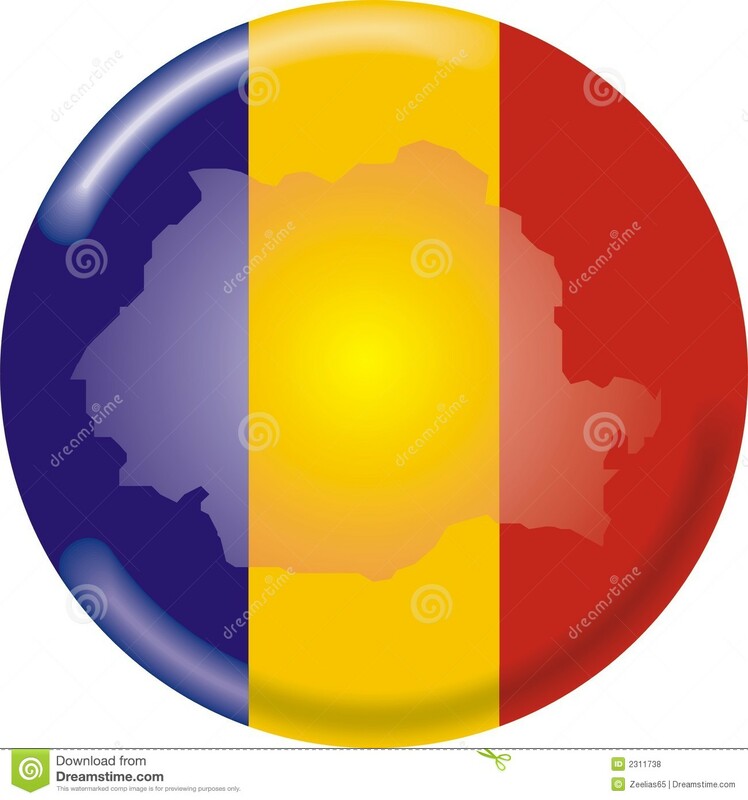 I have only seen reports in the Romanian press. I guess this is the first place where this wonderful news has been “reported” in America. Hopefully, the American media will pick up on it soon. Baby Ezekiel will return home. The judge should not make such a decision, unless he(she) was completely sure, that the baby is completely safe at home. If the most vulnerable member of the family is safe, then all the other children are safe as well. From that reason it is clear, that there were no reasons for taking the children away the way CPS did and isolating the girls for months, isolating the siblings from each other and other family members and causing a huge trauma on the whole family. I am very curious what official reason will be for returning the baby, increasing visit to the boys, but not to the girls and not returning 4 out of 5 children. There is no common sense. Excellent questions and observations, Pavla. a proper way with all the concerns arriving – the responsibility for the right help measures to the right families – the resonsibility for those in our care/they shall of cause get a better daily life in our care than in the history that led up to the conclusion done by the County Commitee. In our sociiety there are some services that some people react to – police, security, those in public services that have a link to the CPS a.s.o., but most of the society have not that fear or reaction. There is nothing to be afraid of. But … we have all seen movies and documentaries of people being accused of something they have not done … or as we watched on weekend – “Fruitvale station” – being killed for nothing by a man in uniform. This is the real version. At the same time we understand the need of these men in uniform – we also think they must get armed to protect themselves and us – and some – more than others – think that its up to them to protect their family. I think the most of us will do our outmost if that situation occur. These acitivsts – like Skånland and Reikerås – they don’t have a clue of what they will have put instead of the CPS if the revolution of some sort would have happened sometime in the future. Of cause you must fight for each case and try to alter the conclusion, but you have no influence of the change going on in the CPS. From 01.04 we got more power to force help measures on people. I’m more fond of the old method – to sell them in. We shall as municipal CPS for the future be the responsible for the foster homes – find them if possible in the known for the child relations and in an area where the child have a chance to uphold its daily activities most as before the removal. I don’t know more than you – it’s the Bodnariu organization that is the messenger – a general consideration is that children taken on emergency are returned when its considered safe – no danger for life and health. I don’t know what the parents do for the moment – if their undergo this examination and there is a case to be held in the month of May, but I think this is good news and as I have said some months now – my guess is that they get reunited with a set of help measures to be done. Knut, I understand that every country needs a CPS protection. Unfortunately not all parents are loving and caring and in some families children really are in harm. I think we all understand this here. I also understand that the job is not always easy to evaluate the situation. In the case that you described, a baby that has died even though CPS was involved.., it could have been poor evaluation of social workers or it could have been, that not always the risks are visible. I get this one. On the other side, if children are taken on emergency, it should be really that, emergency decision. The evaluation of the situation should be fast. It should not take 5 months to decide that a child can go back home. And I also think, that before making such a (in my eyes) drastic decision of removing children, CPS should talk with the parents, neighbours, school and observe the situation at home. The Bodnariu children were not at immediate harm even the school principal said that. Marius Bodnariu has even said, that he wanted to improve as a parent. These parents in my opinion would have cooperated. You also said, that we don’t know the facts, why Ezekiel was returned. No we do not..Though it would be interesting to hear the official reason. You said, then when emergency reason are not valid anymore, the children are returned? Or at least I understood it like that..Yes, though it would be good to know, who has suggested the return of the baby. In my opinion it was the court, not the CPS. If it was the CPS that suggested the return (which I doubt) then one could agree that they still have interest in helping this family. If it was a court decision against the CPS decision, then I am sorry, but I don’t see how the CPS ever wanted to help them.. Taking children rather too early than too late, should not be reason in acting this way. Emergency placements should be only in case when children are at immediate harm or gross neglect. And even in such a situation the way the children are removed should be done very carefully with a lot of understanding and if possible placing them in their environment. I am also sure these children will be returned eventually. The question is though, how long will it take, it is now almost 5 months. Too long. Further you have said, that the activists and demonstration abroad and in Norway have no influence on what is happening in Norway? I think they do. Not only this, but also the European parliament is involved, foreign governments, activists in Norway and abroad, experts in Norway, who have raised a concern after having worked with CPS in many municipalities , Northern committee of Human rights, UN etc. These all came together in the same period and I am sure this has a big influence on what is happening now in Norway. Even minister Horne now stated, that the biological family should be checked first in case of placing children outside their homes, links to abroad should be considered, when children have another nationality and she wants to have a better follow up of the foster homes. Further has now Norway ratified the Hague convention on child protection from 1996 and this spring CPS cases will be reopened to show how CPS works and hopefully change the system according to this. Do you really think this happens out of the blue? Thank you Chris, lets hope all of the children are home soon. I really don’t see a logical reason for not returning all of the children and (if the court thinks its necessary) give some good support to the family. I am sure this all is just about the corporal punishment and the parents were and are good parents and the children are very much loved at home. “The word of the Lord came to Jonah son of Amittai: 2 “Go to the great city of Nineveh and preach against it, because its wickedness has come up before me.” (Jonah 1:1-2). But i feel most Norwegians don’t read the Bible very much? Maybe im wrong about this. In any case a state church only works if you have a king/queen or other person who would be like the local archbishop (Like the archbishop of Canterbury). The truly sad part is Norway has a King..”to him much is given much also is expected” If you have a secular state who pays for a religious church how long can this last? That is why on the US we have separation of church/state. And what about the oil glut? No connection? I think not. Just some thoughts. Good comparison, Tamera: Nineveh to Norway. Evil is afoot in Norway as it was in Nineveh. The major difference, of course, is that in the book of Jonah the people of Nineveh repented and they were spared. We all hope this happens in Norway and in our countries. Unfortunately, the repentance in Nineveh didn’t last and God told Nahum of the great city’s coming destruction. Anyone who has studied the city of Nineveh knows how “indestructible” the city was. Since the church of Norway is a political agency instead of a spiritual force, it is not really a Church of Jesus Christ. Even the propagandist admits this in his comments above. The Church of Jesus Christ is a group of true Bible believers worldwide. This includes many churches with Godly leaders and members. Nineveh got complacent (showing smug or uncritical satisfaction with oneself or one’s achievements) because it believed in its “greatness.” Here is where it seems there are also similarities between Nineveh and Norway. The leaders in Nineveh stood guilty of wickedness before the Lord as must the leaders in Norway who are making the destructive decisions discussed on this blog. This scripture is found in Matthew 24. No Christian knows when this will happen, but Jesus describes signs of his coming. Until then, we do what we can as God leads to bring others to a saving knowledge of our Lord and Savior, Jesus Christ. A few verses after those above, Jesus describes a Great Tribulation. This current world will not have a happy ending. This is the Biblical view. Why mention this here? Because some people think that because Godliness appears to be worsening worldwide, that there is nothing we can really do. The tribulation is coming someday (even though we don’t know when) so why bother trying to help others? I appears that although many in Norway don’t read their Bibles as Tamera has stated, it doesn’t mean we shouldn’t try to help them. It is nice to see that caring Africans are concerned for the welfare of cold Norwegians. I also am thankful for those who understand that many Norwegians have had their lives been torn apart by a cruel system and that those families need assistance as well. An I N C R E D I B L E picture!!!! In Norway religion is used as a systematic tool to controle the thought, feelings and behavior of the masses, so that they conform to the official Norwegian standard and so that every Norwegian abide to anything the elite wants them to abide to. Thus, you are saying that the elite control the church, AST. This reminds me of an old Disney film called Pollyanna. It is still one of my favorites. In the film, the preacher is controlled by the elite lady who controls and manipulates people because of her economic influence. Almost everyone is afraid of her. Some of this doesn’t make sense to me. If over half of the state “church” in Norway says they are not Christian, why would the “church” have any influence on most of the population? Almost none of them go to the state funded church. I would guess that other gatherings including home churches (the real church) have as many attendees as the state run “church.” It seems like it is not the state run church that is controlling the people of Norway. Perhaps it is social pressure and tradition? You are a funny guy, Chris – you take seriously all that come out of a mouth of someone you think is on the activist side as you as truth and everything that come from the two of us that have some other thoughts as information from intruding enemies. The googling on you and the information I got was on a page on this blog were Mrs. Mengele wrote about something on the net – fear or something in that category – it was done as an example. And Chris – why don’t you present yourself on a blog yoo visit so frequent? I think it was on this blog page the comment came – read the tread start first – and then the comment – maybe you see it now – it came not out of the blue. I will not directly “speak” to the Magma Monster, but I will say that the other day one of my students gave me a compliment by saying “You are funny, Mr. Reimers.” Now, here I am insulted with almost the same words. I have no idea what he means by “present yourself.” All he has to do is click on any of my little blue butterflies and it will take him straight to my personal blog. I present myself there. The man is….__________. You can fill in the blank but please don’t use any profanity. I was wrong, The butterfly takes you to my gravatar. Click on the name “Chris” to get to my blog.